On va chanter! (Let’s sing!) On va danser! (Let’s dance!) On va jouer! (Let’s play!) 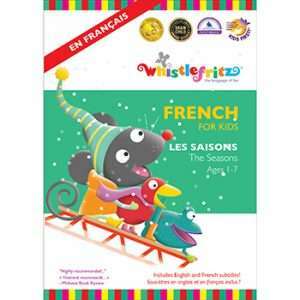 This award-winning, interactive French immersion program is non-stop language-learning fun. With the help of Fritzi the mouse and a playful group of peers, Marie introduces vocabulary related to different parts of the body. 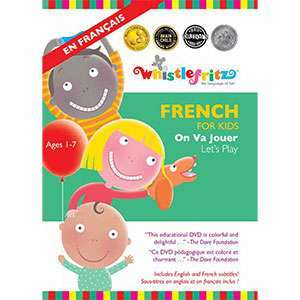 And what better way to get those body parts moving than with delightful sing-along, dance-along songs, including “Heads, Shoulders, Knees and Toes” and familiar French folksongs with exciting new twists. From le chapeau (the hat) to la chaussure (the shoe), kids will love trying on their new French vocabulary for clothes in playful, interactive skits. On Va Jouer entertainingly combines colorful illustrated backgrounds, live- action, and 2-D and 3-D animation. Friendly characters and abundant humor make learning a new language as much fun as play time. Vous êtes prêts? (Are you ready?) On va jouer! 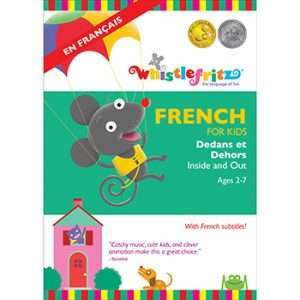 This video includes an easy-to-use translation guide for parents and teachers who are first time learners of French, as well as French subtitles. Designed for children ages 1-7, ON VA JOUER is fun for all ages!